We are implementing important changes to the applications that are capable of collecting user information as of 23 January, 2013. The objective of the changes is to make it easier for our users creating applications that are inline with the relevant legal requirements and internal Facebook rules. The most visible aspect of the changes is that the formerly free text footer will be replaced with a structured text consisting of mandatory elements of labels and referred documents. On the content editor screen of the affected applications, which are the Coupon, Quiz, Picture Puzzle and the Contact Form, a new editor section will appear from the 23 January: Footer *** NEW ***. 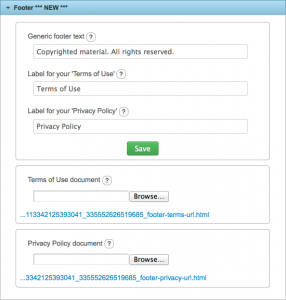 This section consists of three text fields and two file upload fields. 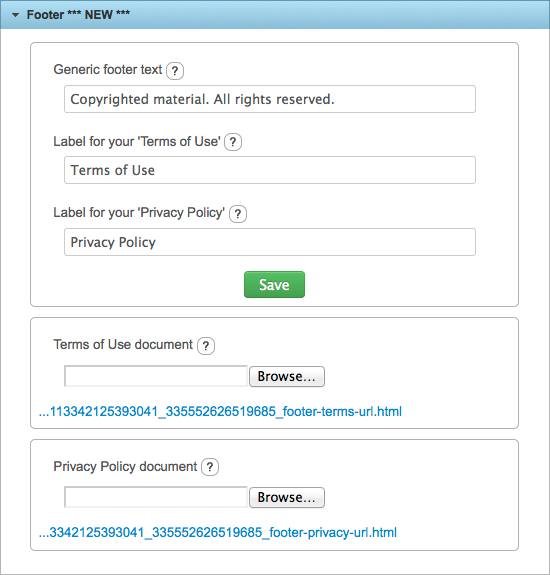 In the Generic footer text field you can provide for example the name and address of your company or some copyright information. You can leave this field empty. Please make the necessary changes, fill in the fields and upload the required documents soon.